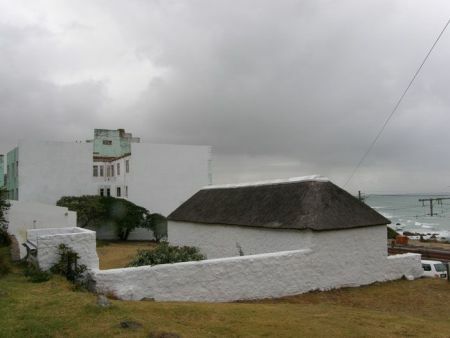 Het Posthuys is considered of the earliest buildings along the False Bay Coastline and was built in the late 1600's as a lookout post for enemy ships entering False Bay. Het Posthuys features early photographs of the Muizenberg area and some material on the Battle of Muizenberg. 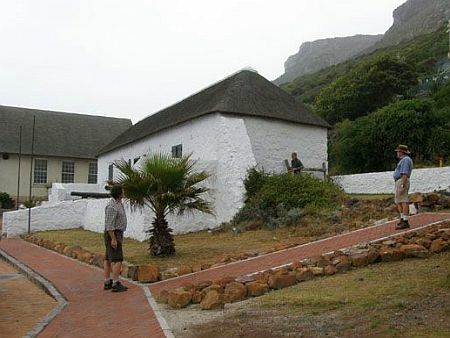 First recorded on a map in 1687, the actual origins and history of this building are still a subject of debate, but it is thought to be the 2nd oldest building in the Cape after the Castle, and the oldest in False Bay. In addition to it's role as an outpost and lookout, it was used as a toll-house to levy taxes on farmers passing by to sell their produce to ships in Simon's Bay. It seems to have a varied career as a police station, stables a naval storage facility, and later an ale and eating house, a brothel and a private residence, until it was restored with funds from the Anglo American Corporation. 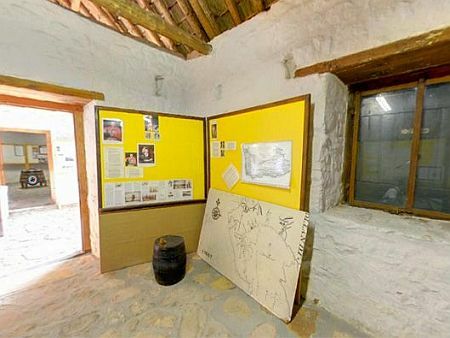 Evidence exists that the site occupied by De Posthuys was utilized by Khoisan people. During excavations on site (date unknown) a hearth with shells was uncovered below foundation level of the former 18th century kitchen. This site probably provided for good views over the bay while being a sheltered position. It should come as no surprise that in 1662 when, due to the imminent outbreak of war between the Netherlands and England in 1665 the site was chosen for the erection of a watch post to guard False Bay in case of attack. The building, part of a larger barracks complex, was completed in January of 1663. It is debated whether the structure currently standing is the original structure. A map of 1690 indicates an extant structure on the site. The buildings on this site remained in military use. 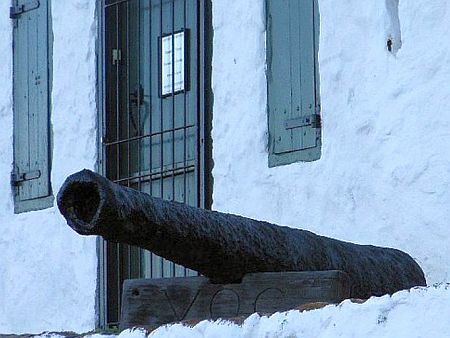 During the Battle of Muizenberg in 1795 De Posthuys received a direct hit on its stoep. Adjoining buildings seem to have been destroyed at the same time. The site remained in military use during the First British Occupation as well as during Batavian rule. 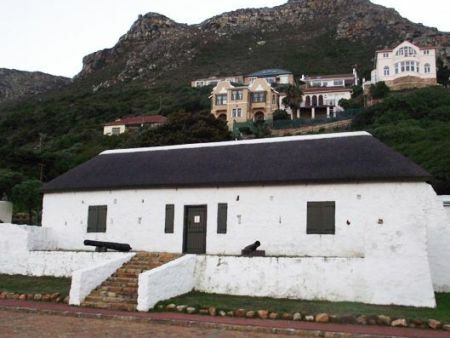 By 1814 the troops stationed in Muizenberg were removed and De Posthuys occupied by a barracks sergeant in charge of convicts, housed in the adjoining barrack used for road making. 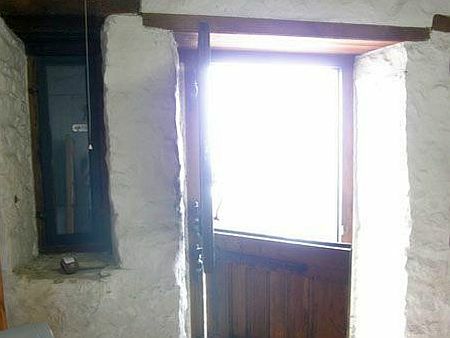 By the 1840's a wooden floor was introduced into the building. It seems that the structure was by then let as summer accommodation for holiday makers. By the mid-1880's JA Stegmann of Claremont obtained a lease for the property who upgraded it for use as a holiday home, calling it "Stegmanns Rust". Het Posthuys is well worth a visit for those interested in South Africa’s early colonial history. It is one of the notable structures along Muizenberg's Historical Mile. Het Posthuys consists of a small stone cottage and outbuildings (once used as stables for horses) - look out for the hitching posts! Het Posthuys means "the Post House" in Dutch. Due to it's position and function as a lookout post to warn of military invasion which came to pass with the Battle of Muizenberg (1975) and the first British occupation of the Cape (1795). Het Posthuys is pictured in a painting of the Battle of Muizenberg done shortly after the battle. The Anglo-American Corporation restored the building in the early 1980s and it was reopened as a museum. This single storeyed stone and thatch dwelling is a restoration based on archaeological investigation to its 17th century appearance. All additions were removed; the thatch roof and brandsolder reinstated, shell lime floors relaid, stone steps rebuilt, and new doors, casement windows and shutters installed. 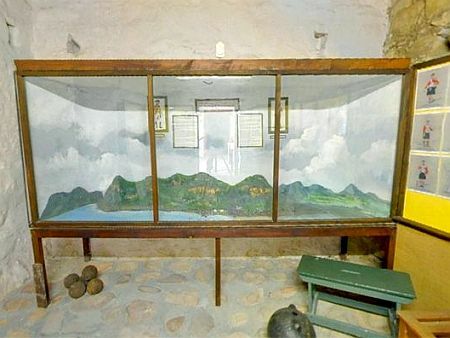 Het Posthuys features early photographs of the Muizenberg area during the early 1900's and some material on the Battle of Muizenberg and a diorama. . One of the original floor stones still has a series of boat-shaped grooves caused by an ochre-grinding stone, probably used by the San or Khoi inhabitants of the area. Open intermittently - call 021 788 5951 to pre-book. 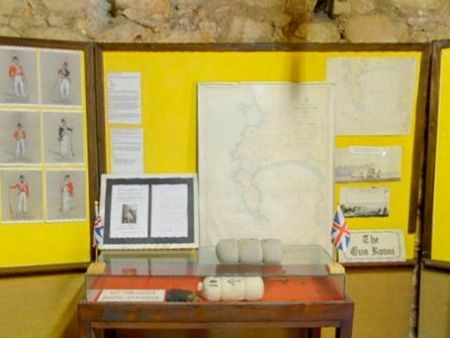 It is run as a museum by civilian volunteers from the Muizenberg Historical Conservation Society. Shell lime Floor with grooves from ochre-grinding stone.